My name is Cody and I run Jackson Hole Home Services, a fully insured home inspection company based in Idaho Falls, ID. 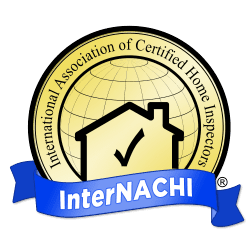 I have been in this business for over 10 years and am an interNACHI® Certified Professional Inspector® (CPI®), which means that all residential inspections are performed according to the one of the industry's most comprehensive and respected codes of conduct for the highest quality and accuracy. I complete all contracted work and oversee all aspects of daily operations in order to avoid unnecessary errors and eliminate confusion in relaying information between myself and the client. I offer a variety of professional services that are sure to be an asset to your next project, including appliance repair, handyman services, plumbing repair, snow removal, carpentry services, real estate inspections, and residential remodeling. All work is completed with pride and efficiency so that you as a client can be completely satisfied with the results. I would love to work with you on your next project, so if you've been looking for a home inspector or handyman, please don't hesitate to give me a call at Jackson Hole Home Services today! Copyright © 2019 Jackson Hole Home Services. All Rights Reserved.